Hi, my name is King_Air. I am the Owner/Head CEO of TXA. If you need anything at all, please feel free to contact me via Teamspeak, or email. If one of the ceos of the server ask you why your there, just tell them King_Air sent you. 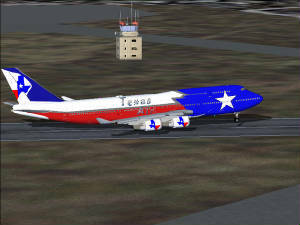 The goal of TXA, is to provide a serious, yet fun airline that is open to everyone who is willing to have fun, while simming but at the same time, provide the best services that one may need to add to the realism to their Flight Simulator carreer.